West Point's Class of 1915 is the academy's most important in history. The cadets of the United States Military Academy, West Point, are intimately twined with the country's history. The graduating class of 1915, the class the stars fell on, was particularly noteworthy. Of the 164 graduates that year, 59 (36%) attained the rank of general, the most of any class. Although Dwight Eisenhower and Omar Bradley, both five-star generals, are the most recognizable, other class members contributed significantly to the Allied victory in World War I and World War II. They also played key roles either in the postwar U.S. military establishment or in business and industry after World War II, especially in the Korean War and the formation of NATO. For more than half a century, these men exerted tremendous influence on the shaping of modern America, which remains substantial to this day. Individually, the stories of these military and political leaders are noteworthy. Collectively, they are astonishing. 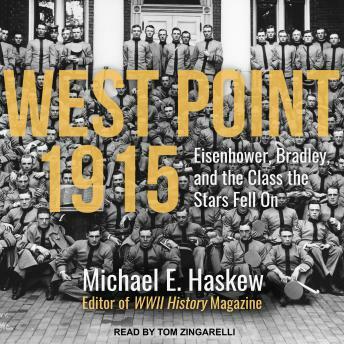 West Point, 1915 explores the achievements of this remarkable group.